Children´s pajamas with detailed embroidery. Article reduced 50% only while supplies last. 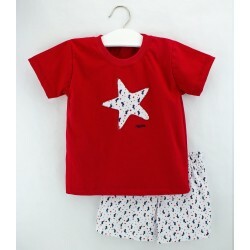 Child´s unisex pajamas with detailed embroidering in the front of the t-shirt. Available in two colors from 2 to 6 years.